Unlike many people, I never had a fear of going to the dentist. I think the main reason for this is that I have always attended a doctor who was able to connect with children and put me at ease. I have also never had any dental fillings or root canal treatment in Dubai, but this isn’t due to having good genes. I have been told the reason for this is the fact I had dental sealants when I was a child. A dental sealant is a thin coating which is usually painted on the back teeth such as the molars and premolars to prevent decay. The sealant seeps into the crevasses of the teeth and acts as a shield against bacteria. The name sealant comes from the fact it “seals out” the food and bacteria that stick deep in the grooves of teeth. Although many people floss and brush their teeth regularly, this only removes plaque and food particles from the smooth surfaces of teeth. It is extremely hard for the bristles on a toothbrush to reach the tiny depressions in a person’s teeth. Therefore, the back teeth, more commonly known as chewing teeth, are vulnerable to dental cavities. The process of a dental sealant involves cleaning the area of the tooth to be sealed. When the tooth has been dried an acidic solution is put on the tooth, which makes the surface area rough, allowing it to bond better. Once the solution has dried the sealant is then painted onto the tooth, this usually dries within a few minutes but sometimes a curing light is used to hurry the process. It is advised that children have sealants applied to their molars and premolars, as the primary age to get cavities is 6-14 years old. A dental sealant is a completely pain-free treatment, usually only taking a few minutes and lasts up to ten years. 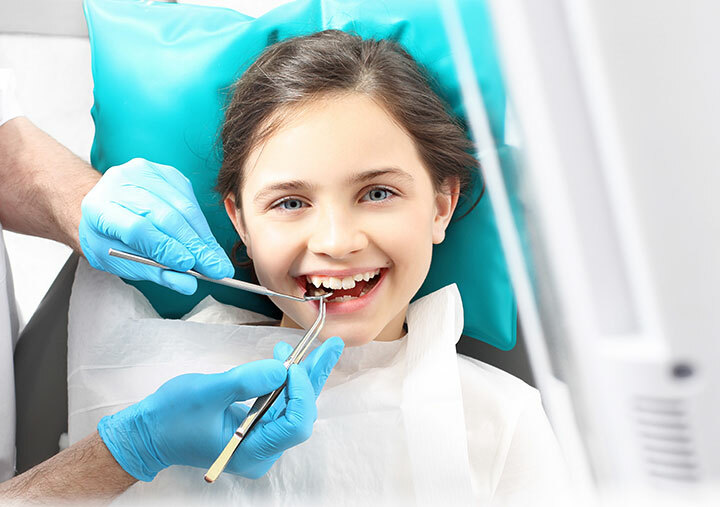 Sealants are the simple answer to preventing cavities and pain. Our Pediatric Specialist Dr. Anila is great with children and can apply your child’s dental sealants in a safe and caring environment. Appointments can be scheduled to meet with Dr. Anila in our Pediatric & Orthodontic Center.